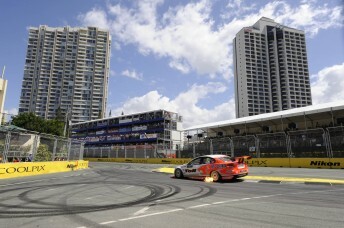 V8 Supercar drivers have backed the increase in race miles around the streets of Surfers Paradise this weekend after the collapse of the A1 Grand Prix category. The V8 class has upped the total race miles from two 400km races to four 150km races, making it the event the second only to Bathurst in terms of race distance over a weekend. Leading V8 drivers Steve Johnson and Steven Richards have supported the revised program, acknowledging that 600km over two days will be tough, but in the interest of the event, it is the best outcome possible. “I think it’s definitely going to make for a very busy weekend, but at the end of the day, 98 percent of the fans are there to see us on track anyway,” Johnson said. “That’s what they’ve come for, so for V8 Supercars to have the flexibility to do what we’ve done in the past few days and pump up the event, I guess it shows how we feel about the event. Ford Performance Racing driver Richards echoed Johnson’s thoughts. 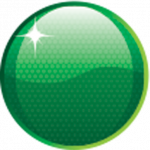 “The new format is going to be great for everyone, especially for the fans of V8 Supercar racing,” said Richards. “The more starts we do in a day always provides more entertainment, sometimes it may be to the detriment of the teams but in saying that we’re in the entertainment game. The more excitement there is for the fans the more our sport grows. The V8s will be on track for the first time on Friday with practice and qualifying. Saturday will see the top 10 shoot-out and the first of the two races before Sunday’s final two races.